One of the nation's most progressive design-build laws has been signed into law by the Governor of North Carolina (HB 857) to grant state and local government authorization to pursue design-build and public-private partnership project delivery. In addition, passage of the law is a great step forward for qualifications-based selection in the state. The power of social media has grown rapidly since Facebook and Twitter were first launched. LinkedIn has also emerged as a powerful business tool in the A/E/C industry. DBIA has embraced the most popular social networks to communicate with our members and the larger public. We recently revamped our social media strategy by creating a more active Facebook page, a more engaged Twitter presence and an increasingly popular blog. RSMeans’ Lisa Cooley spoke to the DBIA Federal Sector Conference in National Harbor, Maryland. Her presentation, “Design-Build Downsized,” highlighted ways federal owners can use the design-build method of construction for small projects and explored Multiple Award Contracts and Job Order Contracts (JOCs) that leverage RSMeans pricing data. Balfour Beatty Construction has been chosen by Virginia's George Mason University to lead the design-build team for new student housing. This is the fourth project and second housing facility Balfour Beatty has worked on for the university. Howard S. Wright, a Balfour Beatty company, built out several spaces at the newly renovated Husky Stadium, including the 30,000-square-foot Sports Medicine Clinic in Seattle. Completed in July, the facility is underneath the stadium's south stands and features 39 exam rooms, four treatment rooms, two X-ray rooms, 21 office and consultation rooms, and rehabilitation space. Skanska is investing $94 million in a new office building in The Energy Corridor in Houston, home to several major players in the industry. The total leasable area will be approximately 30,000 square meters. Parsons was pleased to attend an international gathering to celebrate the 75th anniversary of the opening of the Thousand Islands International Bridge, which crosses the St. Lawrence Seaway at Collins Landing, Alexandria Bay, New York. The bridge connects U.S. Interstate 81 and Canada’s Highway 401 and is also known as the Capital Corridor linking Washington, D.C., and Ottawa, Ontario. Two Southland firms will be involved in the design and construction of the first leg of California’s 800-mile, high-speed rail system. Tutor Perini Corp. of Sylmar and Parsons Corp. in Pasadena are part of the Tutor Perini/Zachry/Parsons joint venture, which has secured a $985 million contract with the California High-Speed Rail Authority to build the initial 29-mile stretch running from Madera to Fresno. The third partner is Zachry Construction Corp. of San Antonio. Parsons announced that it was recently awarded a consultancy contract by Abu Dhabi Ports Company (ADPC) to manage the development of Delma Port, located about 40 km off the coast of the Western Region of Abu Dhabi, United Arab Emirates (UAE). Adam writes, "As a builder and architect, I’ve been doing design-build work for 30 years. I grew up building, so I’m a builder at heart. Later I got my architect’s degree and license, but the reason I don’t just practice architecture is that I want my designs built right. At my company Structures Design/Build, design-build ensures that our projects gets delivered to both the owners’ and my specifications. If something gets installed wrong during the course of construction, it is our responsibility – and ours alone – to fix it. Passiv Science was established to help teams of designers and builders repeat our firm’s success delivering fully integrated design-build projects in commercial construction." Improving and maintaining American transportation infrastructure is critical to the nation remaining economically competitive in a global marketplace, U.S. House Transportation and Infrastructure Committee Chairman Bill Shuster, R-Pa., told a gathering of community and business leaders in Cleveland earlier this week. Looking for similar articles? Search here, keyword TRANSPORTATION. Public-private partnership created substantial savings for the citizens of Santa Paula, Calif. In 2007 the City of Santa Paula, Calif., voted to proceed under a public-private partnership to replace its noncompliant wastewater treatment plant. The City entered into an agreement with Santa Paula Water, LLC to design, build, operate and finance a new water recycling facility. At the same time, Santa Paula Water LLC entered an agreement with PERC Water Corporation to design, build and operate the new facility. Engineers think that three of the bridges closest to Dave Wisler's home are about ready to collapse. One, a picturesque one-lane structure built in 1893, became so perilous it was closed last summer, and the county doesn't have the money to fix it. Another bridge, just down the road, is well-known for the concrete that chips off the bottom as children play in the creek below — it's currently under repair. In the fall of 2009, before construction had even begun, the U.S. Army Corps of Engineers' first design-build hospital project, sited in Fort Benning, Ga., had become a contracting nightmare. The two losing bidders for the $333-million Martin Army Community Hospital (MACH) - a McCarthy/Hunt joint venture and a team of Harbert Construction and Brasfield & Gorrie - were filing lawsuits relating to the selection of Turner Construction Co. and Ellerbe Becket/RLF Architects. By February 2010, the Corps was ordering Turner Construction Co. and EB/RLF to halt work. Early Bird Registration for 2013 Annual Conference ends tomorrow! Register for the 2013 Design-Build Conference & Expo by tomorrow, Friday, Sept. 13 take advantage of our “Early Bird” registration rate. Individuals who register before COB Friday will save $100 off a full conference registration. Sending a large group? DBIA has group rates for organizations sending 10 or more from the same organization. View our special group rate pricing and other registration fees at www.dbia.org/conferences/expo/attend. Register now before prices increase! DBIA is introducing a series of webinars on best practices. The last new webinar is "Running a Design-Build Business: Profit, Risk and Leadership" on Sept. 17, presented by Tom Porter, JD, DBIA. Each will be presented 1:30-3 p.m., Eastern time; the webinars presented live earlier are available as recordings. The new 2014 McGraw-Hill Construction Sweets Unit Cost Guide is out and it has up-to-date cost information for 14,000 tasks and materials used in construction. The book retails for $99.95 but use the link or coupon code EG38 and get it for 10 percent less. 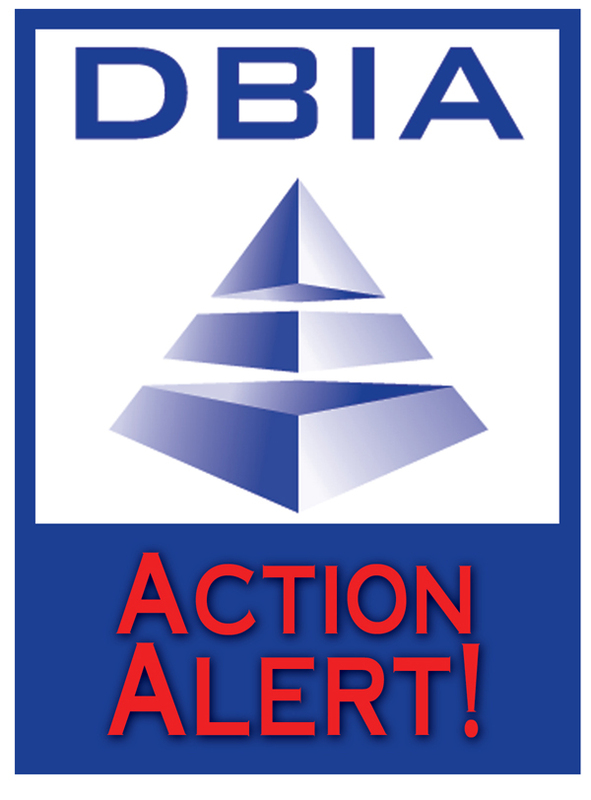 DBIA views this document to be the first of many iterations of best practices. The evolution of this document will be based on input from a broad spectrum of industry including DBIA members. We fully expect that the concepts expressed here will be refined and modified over time. The term “best practices” itself connotes an evolving process. Bernie Siben, CPSM writes, "Sometime around 2000, I became a big fan of checklists. Before that time, I didn't think I needed them. Then I submitted a proposal missing one signed form and my firm was thrown out for being "non-responsive."